At Clark Communications, we don’t sell you our products; signs, mailers, posters, etc., we partner with you from day one to provide comprehensive solutions to your marketing needs. We start with your marketing goals and work backwards to develop a unique strategy to meet your needs: on time and on budget. The end result? We build bridges to your target audience while exceeding your expectations. With Clark, you get such personalized attention that you’ll think we only work for you! 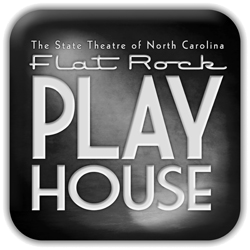 Clark Communications has printed literally millions of brochures, and hundreds of thousands of Playbills for Flat Rock Playhouse. Our deadlines come quickly and relentlessly, and Clark always delivers on time. As a nonprofit, we appreciate their competitive pricing. Mississippi College traditionally recruited 500 freshman each year. Since partnering with Clark Communications to assist with the search process, tele counseling effort, communication flows and publications MC has had around 600 freshman the last three years and are on track to have more than 650 freshman for fall 2016.